We are cultivating Organic NON-GMO Maize by our contract farmer in organic certified farms and then it is brought to our Organic certified Cleaning & Grading Plant Where we clean the seeds and remove the foreign particles. After cleaning seed is further processed in grading plant where it is graded by its size & shape. 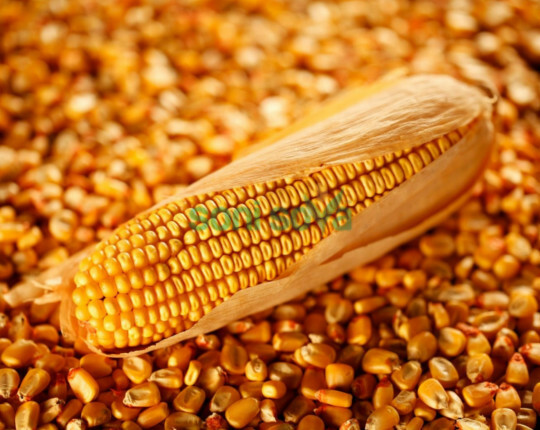 The Organic maize is available in food & feed grade as per requirement. INDIAN ORGANIC NON GMO EXTRUDED SOYABEAN MEAL, (yellow soybean meal) Produced from Organic Soybean are grown without the use of conventional pesticides and artificial fertilizers, Genuine, Pure, free from contamination by human or industrial waste. Extruded Full Fated Organic soybean meal offered by us is used as livestock / poultry / cattle feed raw material and is free from insect, visible / invisible fungus infestation and from any sort of musty odour. These organic soybean are very rich source of protein and applicable as protein supplement too. - Single jumbo container liner p.p. bag.